Virgin Media has been announced as the title sponsor for The Dublin International Film Festival. Over the past sixteen years, the event has showcased the work of Ireland’s very talented producers, directors, screenwriters and actors. It has hosted over 600 major guests, including winners of the festival’s prestigious Volta Award such as Al Pacino, Julie Andrews, Danny DeVito, Daniel Day-Lewis, Joss Whedon, Brendan Gleeson, Angela Lansbury, Stanley Tucci, Stellan Skarsgård, Kristin Scott Thomas and Ennio Morricone. 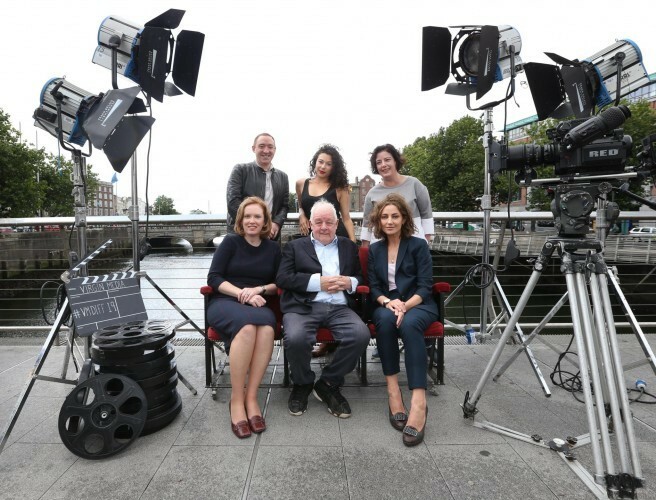 The Virgin Media Dublin International Film Festival will bring the world’s best films to Dublin in its spectacular 17th edition that will include world premieres and a total of over 110 features. The event takes place from February 20th to March 3rd 2019. To celebrate the announcement, the first collaboration will see the Virgin Media Dublin International Film Festival host the European premiere of Lenny Abrahamson’s new film The Little Stranger at a gala screening on 12th September at The Lighthouse Cinema. The darkly mysterious period drama is based on the novel of the same name by Sarah Waters and features Irish and international acting talent including Domhnall Gleeson, Ruth Wilson, Charlotte Rampling and Will Poulter. Lenny Abrahamson, Academy Award nominated director of Room, will be in attendance at the premiere of The Little Stranger alongside cast members Domhnall Gleeson and Ruth Wilson.